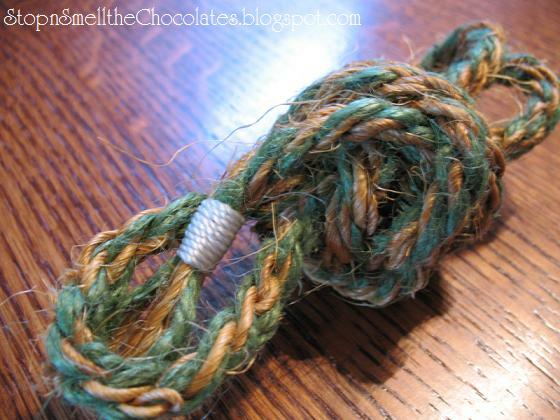 That my friends, is some genuine, hand-made in the USA, functional yet "pretty" rope! It's my One Beautiful Thing this week because I watched my favorite Boy Scout troop make it! Not only do I love Boy Scouts and the skills they teach young men, but I love that our troop is affiliated with our Christian school. The families we are with are also involved in shaping the character of these young men and helping them grow into godly men. Join Brooke each Thursday for One Beautiful Thing and link up - it's not too late to link up even now! What's one beautiful thing from your week? You do kind of look like you need a pretty rope. I won't go on to say the reason though. LOL! Big I'm distracted by a spider climbing up the screen outside so I thought that I'd tell you and have it as my hug as you know how much I "love" spiders size hugs to you. Love the rope! I hope my boy wants to be in scouts when he's older. :) Thanks for the sweet comment on my blog.